This unique artwork has been sold. 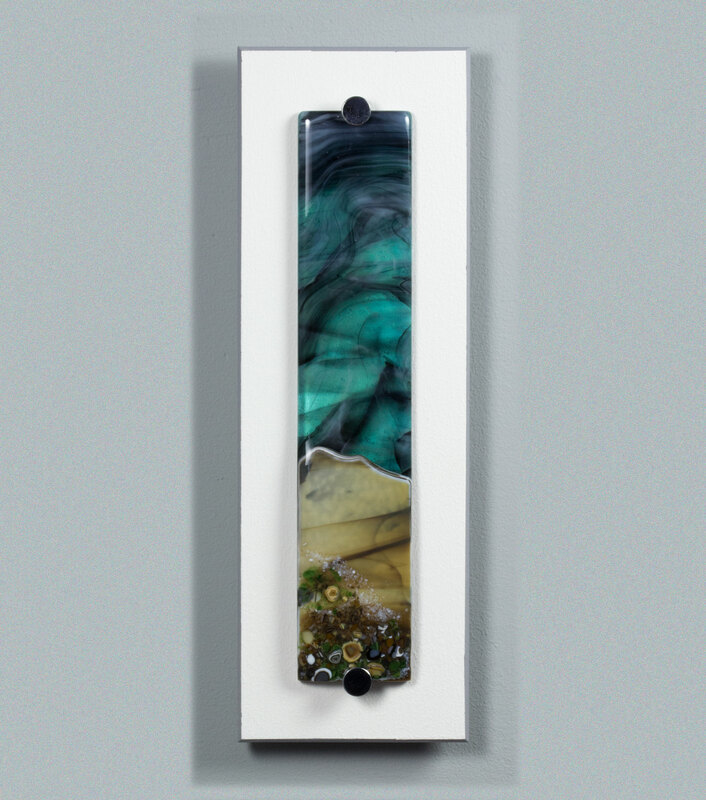 'Winter Landscape 4' is a fused glass seascape designed using a mix of streaky glass, transparent coloured glass and frits/powder glass. It has been fired several times and then cold-worked and sandblasted to create this original and unique seascape which captures the emotions of being beside the seaside. It is inspired by the welsh coastal scenery of Pembrokeshire but will evoke different emotions and memories for everyone. Glass panel measures approx. 25 x 5 x 1.5cm. Mounted on white board with grey outline 30 x 10 x 1.8cm. Flush keyhole in back for easy hanging (mirror screw not included).